Before July 2010 ended, my partner asked me if I wanted to join R.O.X. 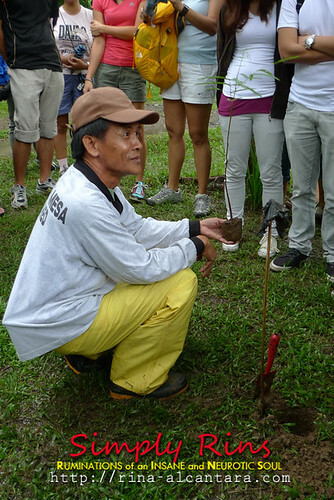 's Tree Planting event at La Mesa Watershed on August 08, 2010. I didn't have anything planned on that date so I said yes. There were limited slots for participants so we sent an email to R.O.X. to inform them that we were interested to join. A few days after, we received a confirmation. Any form of help is welcome. Participants for the R.O.X. 's Tree Planting event was requested to come at 7:00am at the R.O.X. store in Bonifacio High Street. Transportation to and from La Mesa Watershed was provided. Snacks, water, and lunch were also provided. The event was totally FREE! 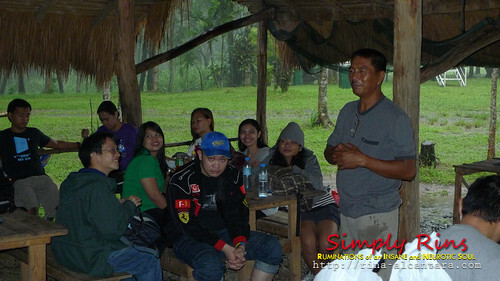 A briefing regarding the La Mesa Watershed Project was given upon our arrival. The La Mesa Watershed Project was born when the surrounding forest of the watershed was abused by people who populated it. Seeing the rapid deforestion around the watershed prompted the Metropolitan Waterworks and Sewerage System (MWSS) to take action by evicting the community that forced themselves into building a life within the surrounding area. Approximately 1,400 families lived within the watershed area. Their primary source of livelihood comes from the trees which led to the deforestation of 1200 hectares of vital watershed area. As a solution, the La Mesa Watershed Project aims came up with a 5-year reforestation program and hopefully increase watershed awareness to bring back biodiversity. The only tool that we needed for the activity. They are encouraging communities, foundations, corporations, and even individuals to help in any way to restore the biodiversity in the La Mesa Watershed. Donations are very much welcomed. In fact, R.O.X. donates Php100 for every Php3000 sale. They have sponsored the reforestation of 1 hectare at the watershed. 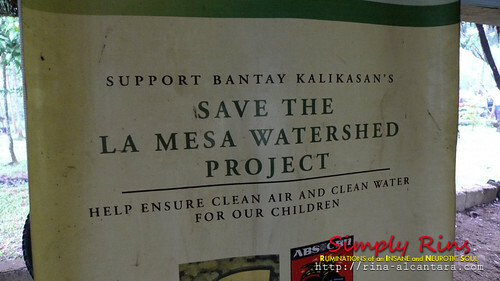 There are various ways to help, please visit the La Mesa Watershed Site for details. The proper way of planting a tree was demonstrated before we hiked to the site. During the briefing, we were informed that you don't need to be a green thumb to plant a tree. You just need to do it properly. - Remove the plastic totally that's keeping the plant's soil together. 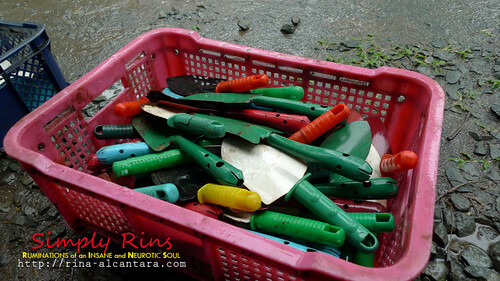 Remember that plastic is nonbiodegrable so it's important to remove it for the roots to properly grow. 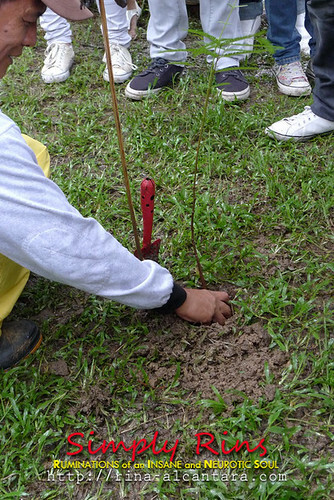 - Follow the proper depth for tree planting. The ideal height is approximately a centimeter from the top soil of your small plant. If you plant your tree too deep, it will not be able to breathe (so to speak) properly. If you plant it too shallow, it the roots will not be able to establish themselves properly underground. - After planting, firmly secure the soil by stamping on it carefully. It was approximately a 2km hike going to the tree planting site. 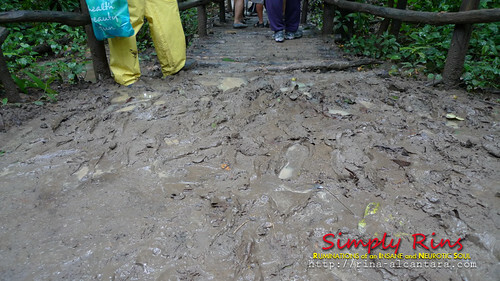 It was raining on and off the entire morning so we were warned that the trail will be muddy and slippery. We were a little unfortunate because the rain poured when we got to the site and on our way back to the briefing site. The muddy trail that made the trail really slippery. The way back was trickier. Since it was raining non-stop, we experienced water puddles. We were soaked and our shoes were drenched! But nonetheless, it was worth it because we all participated in helping in the reforestation of the La Mesa Watershed. Water was provided for us when we returned to the briefing area to wash the mud off our feet and shoes. Everyone was hungry by the time we returned. The R.O.X. 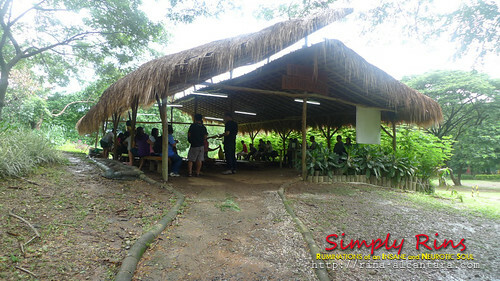 team brought the participants to La Mesa Ecopark for lunch. There was silence while everyone was savoring the fried chicken with itlog na maalat (red egg) wrapped in banana leaves that was served for lunch. Thank you R.O.X. for giving us the opportunity to participate in this tree planting event.